A remarkable woman for more reasons than her size. It was and is situated outside the city centre in Kowloon, at the shores of Junk Bay. At that time it was reached by Maaken, the boat owned by the Seamen's Church. His method of initial cure would not meet with approval in Norway, but it was efficient; Cold Turkey and restrains. Very interesting ombugge! Thank you so much for that tip! I found that first link interesting in particular. I will read on later tonight as soon as I have returned home and placed myself on the coach. 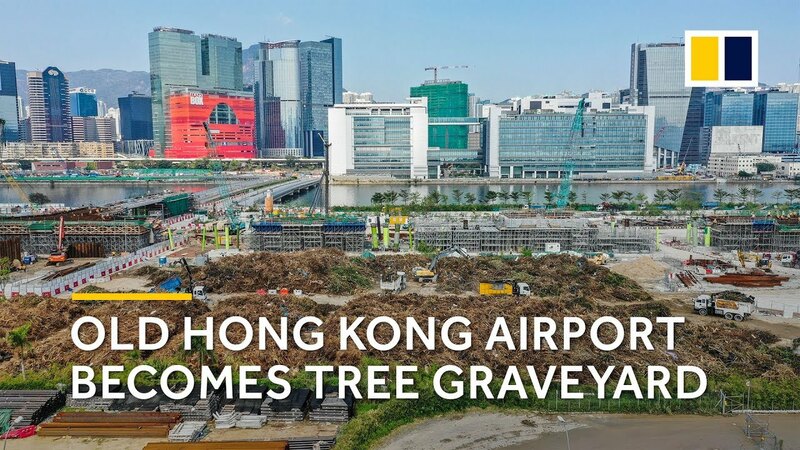 I also have a Boeing 747 cafe, the Airplane Park and Bobby's Tailor on my list of things to do in Hong Kong, as soon as work assignement there has been done. I love the Hong Kong Star Ferry Company - a visit to HONG KONG is not complete without riding them. I will keep an eye out for the new service once it opens to the public. I was there only days after the typhoon hit. 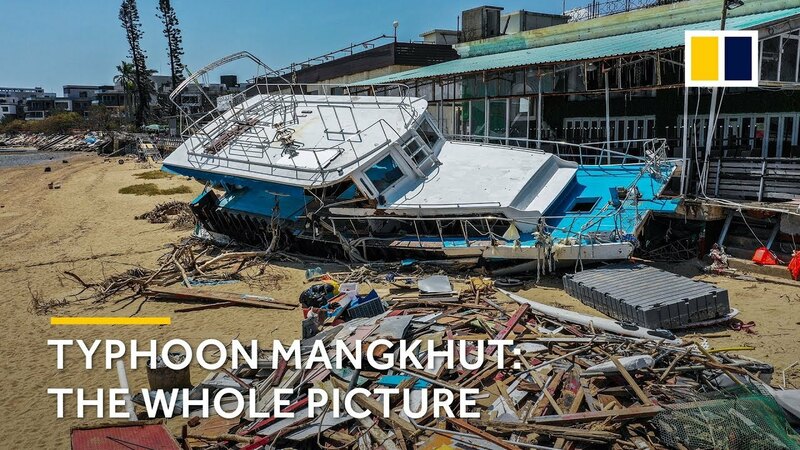 Thankfully, or sadly, I was in Thailand when it struck Hong Kong, but I was back to see the devastation a little more than a day later. There were so much broken trees and rubbish everywhere, the ride from the airport was severely hampered. Brings me back to my last years encounter in Hong Kong with another typhoon which I already forgot the name of. Phew! You had me worried for a minute …I was all “She’s SO unhappy; it’s not worth it for the Ferrari” …and then I saw your LOL! I found some old pics from Hong Kong on the web. 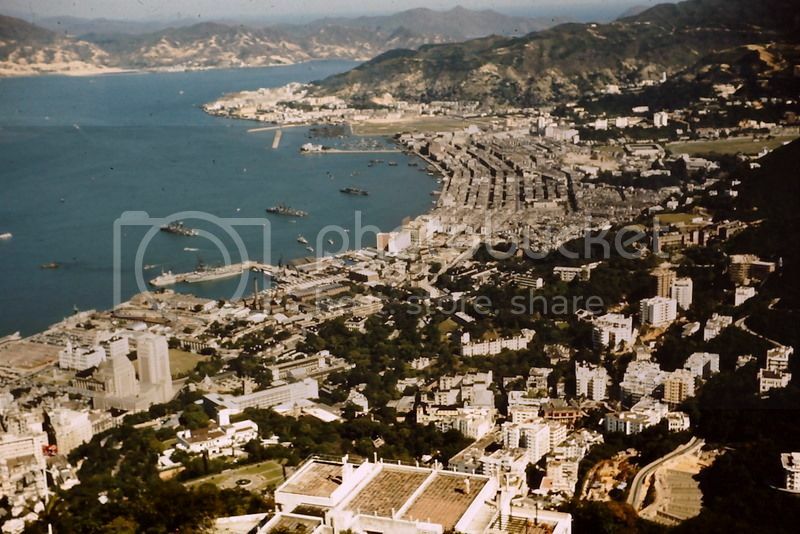 The original coastline, before the 1960-70 reclamation. British Naval Base and ships at anchor in Admiralty Bay is prominent. As you may be more familiar to Hong Kong than me, could that green open area almost furthest away, near the 3 breakwaters, today be Victoria Park? Yes it is and those break waters is Causeway Bay Typhoon Shelter, which is still there. Causeway Bay area is part of Wan Chai and among the busiest parts of HK today. BTW; To the extreme right of the picture you see another green patch which has survived; Happy Valley Race Course. Thank you so much ombugge! I have been to both places and have photos to prove it. The Happy Valley Race Course was extremely popular (crowded) when I walked by last time, and was immaculately kept by gardeners and cleaners. Also, I visited the actual Causeway Bay Typhoon Shelter last time in Hong Kong, in September. Hong Kong (read. 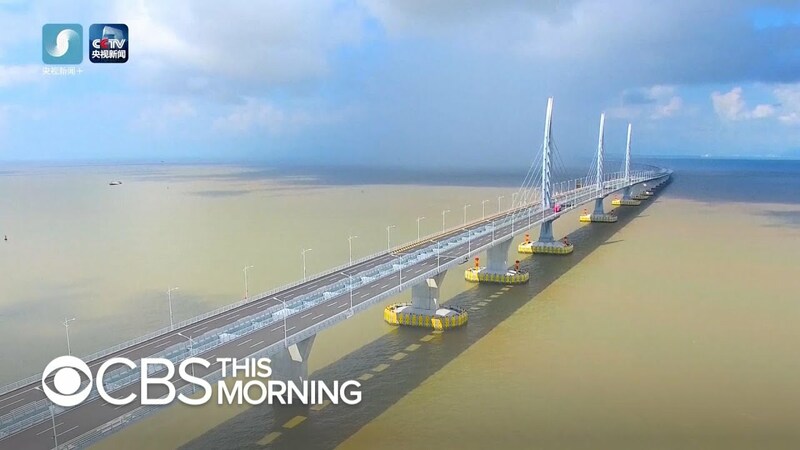 : China) builds bridges like nobody else are able to: perhaps with a "hidden" agenda? I'm still so very fascinated by Hong Kong, and I'm still in love with this pearl of land. I'm consintously looking up websites with information and documentaries on Hong Kong. A great source of knowledge which I have found most interesting is South China Morning Post and naturally YouTube. This is a short video on the property market in Hong Kong, with comparison to for example Manhattan. Interesting. 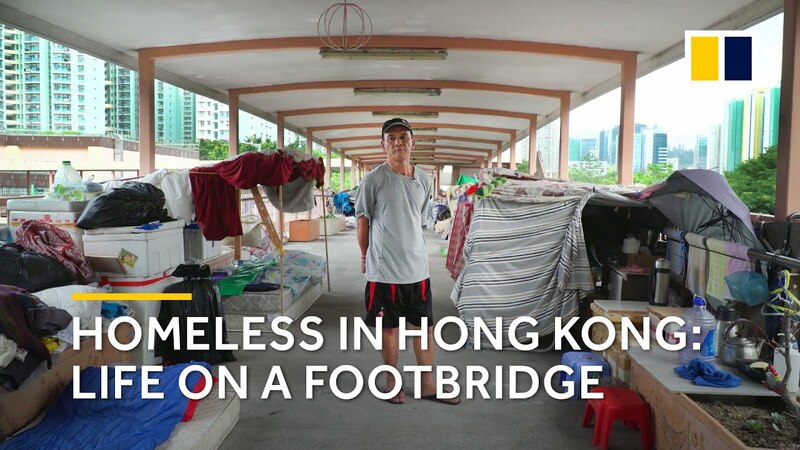 Here are (again) two interesting videos from Hong Kong: the first one about the border to China and the ever-increasing pressure from the Chinese Government, and the resistance amongst the Hong Kong'ers. I was not aware of this before seeing this video, so I'm quite happy to learn more about these raising tensions. The second video I'd like to share and recommend, is about the sub-divided apartments of Hong Kong: normal apartments that again are divided into some extremely tights coffin-homes of just a handful square meters. This is incredibly different from our homes here in Norway, or any other place in the world. Like the Government there, it's hard to imagine any good solution to this problem other than ignoring it. With property prices at the level they are right now, and the continuously diminishing available land-area, I don't see how this could be solved(? ).